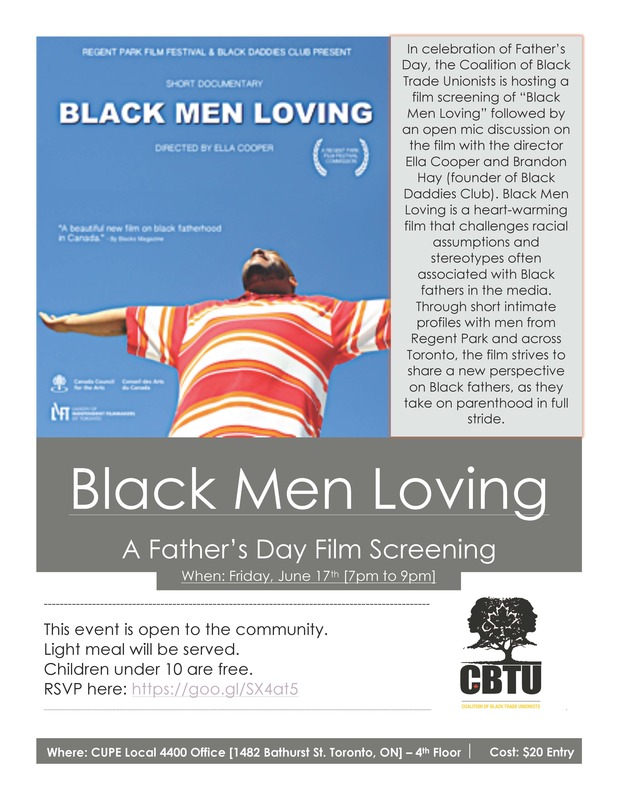 In celebration of Father’s Day, The Coalition of Black Trade Unionists is hosting a film screening of “Black Men Loving” followed by an open mic discussion on the film with the director Ella Cooper and Brandon Hay (founder of Black Daddies Club). Black Men Loving is a heart-warming film that challenges racial assumptions and stereotypes often associated with Black fathers in the media. Through short intimate profiles with men from Regent Park and across Toronto, the film strives to share a new perspective on Black fathers, as they take on parenthood in full stride.